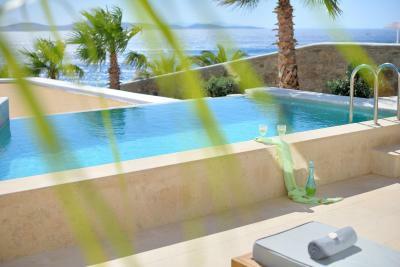 Lock in a great price for Anax Resort and Spa – rated 9.4 by recent guests! Excellent Service, Beautiful views and great location. The breakfast buffet was over the top. Wonderful Mediteranean fair, but also other food. Superb! The restaurant staff was very attentive and helpful. Can't think of any improvements needed. 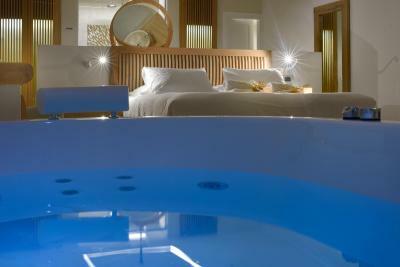 Extremely nice staff, amazing room, huge private hot tub. The hotel and it's facilities look amazing. Breakfast was good. 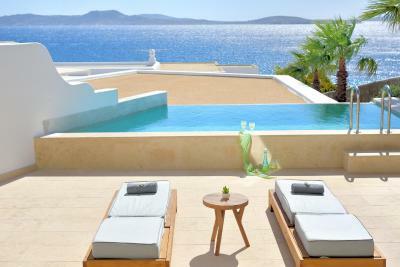 Beat hotel in Myconos! Spent 5 amazing nights here and were wowed by the hotel facilities, spacious and modern rooms, excellent attention to detail by staff, amazing food and truly the best views in Myconos. Will be returning. 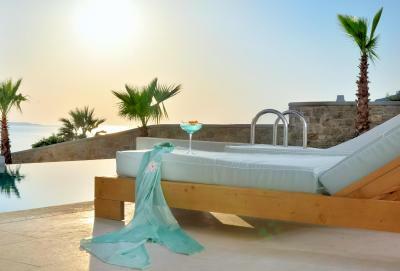 The location, the view, the pools, the sea (when it’s not windy), the private pool, the cleanliness of the rooms, the staff and delicious breakfast. 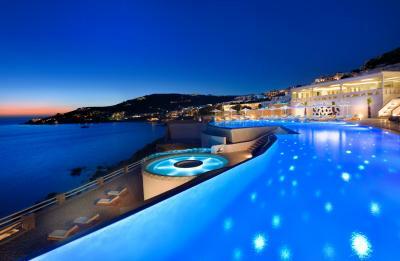 This hotel is beautiful. The views are breathtaking. The staff was great. I was on my honeymoon. We wanted to relax and that's what we did. Worth the price for admission! 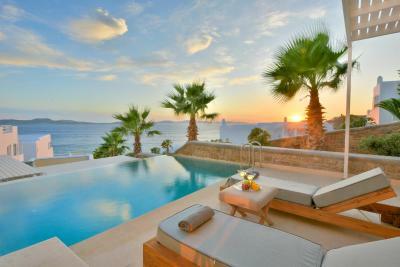 Very nice location and amazing pool area. The hotel is very clean and well maintained. The air condition is extremely quiet and good. The location, layout of property, and the front desk/bellman staff were terrific! The ladies at reception were quite helpful with transportation assistance, making dinner suggestions and a reservation for us, bar and club information, as well as where not to go. 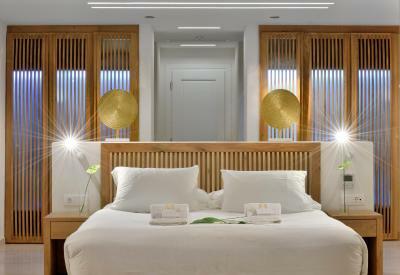 The decor is aesthetically pleasing - white and pristine. 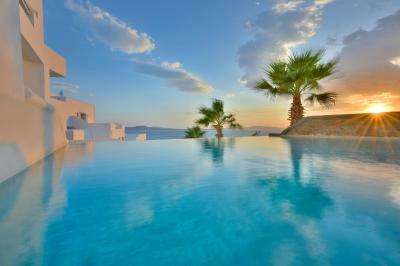 When you picture Greece, this sums it up! The pool area and levels to get down to the water were spectacular! The architects and designers did a fabulous job here! Anax Resort and Spa This rating is a reflection of how the property compares to the industry standard when it comes to price, facilities and services available. It's based on a self-evaluation by the property. Use this rating to help choose your stay! 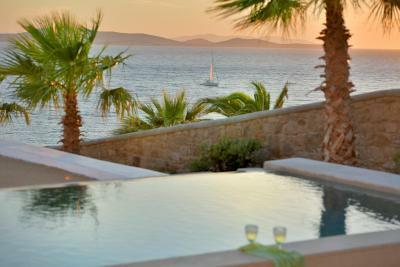 One of our top picks in Agios Ioannis Mykonos.Boasting a seafront location in Agios Ioannis in Mykonos, Anax Resort ideally blends Cycladic architecture with modern amenities. 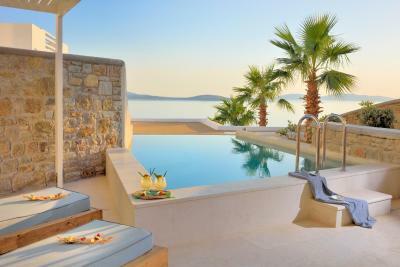 Facilities include a superb spa center offering an abundance of beauty treatments, infinity pool, hot tub and a restaurant serving fine Mediterranean cuisine. A private beach area is also available. 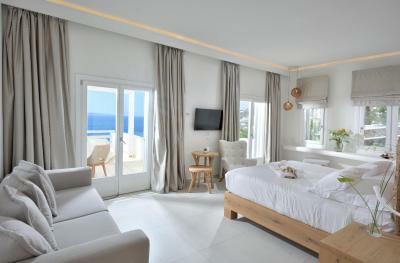 Stylish and spacious, the bright units at Anax Resort and Spa open to a balcony and patio with magnificent views of the sea. Some feature their very own private pool. 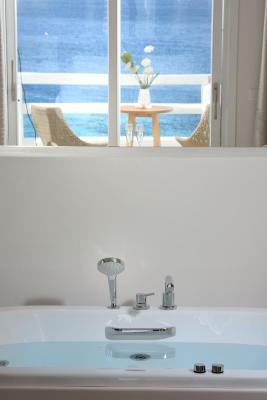 Each features an elegant bathroom stocked with a spa bath and shower, while free toiletries are also offered. A smart TV and Bluetooth access is available in every unit. Air conditioning comes standard. 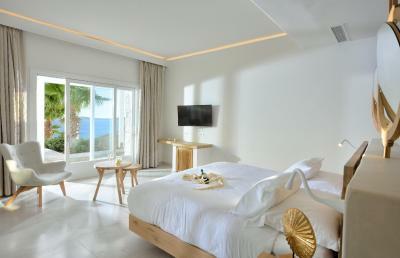 Guests will find a fully equipped gym within the premises. The services that can be enjoyed at the spa center range from hammam and sauna to rejuvenating massages and facial treatments. 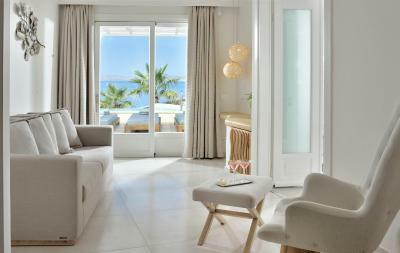 The cosmopolitan center of Mykonos, boasting an array of exclusive boutiques and high-profile bars and restaurants, lies within approximately 2.8 mi of Anax Resort and Spa. The lively Psarou Beach is at 2.5 mi. Mykonos Airport is 3.1 mi away. Free private parking is possible on site. 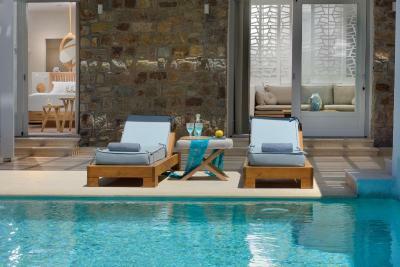 When would you like to stay at Anax Resort and Spa? This double room has a balcony, soundproofing and satellite TV. It offers sea view or side sea view. Please note that no extra bed can be added in this room type. 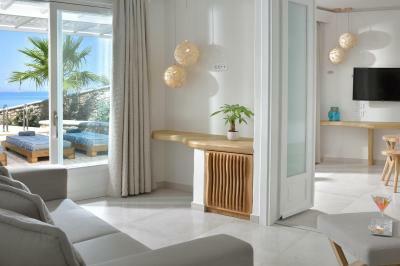 Spacious, elegantly decorated maisonette with a private pool. 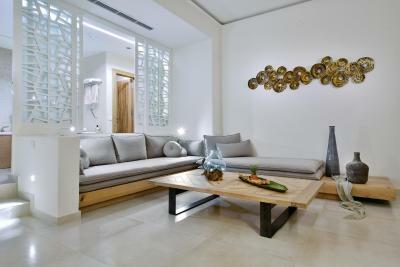 Divided in 2 levels, it features a master bedroom on the lower level and a living room with sofa on the upper level. 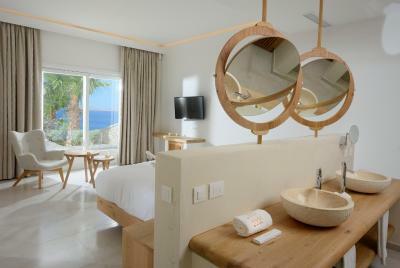 Facilities include a flat-screen satellite TV, air conditioning, mini-bar and a bathroom with spa bath. 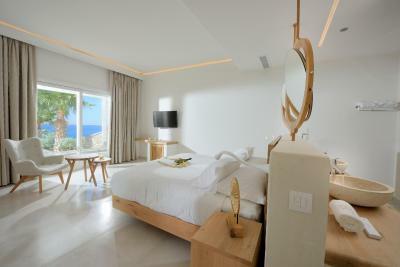 Elegantly decorated in white and earthy tones, this suite offers sea view or side sea view. 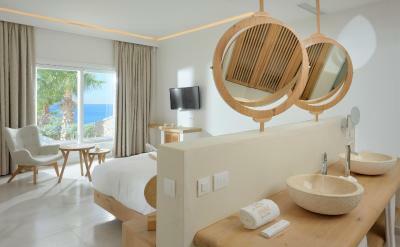 It includes a flat-screen satellite TV, air conditioning, mini-bar and a bathroom with spa bath. 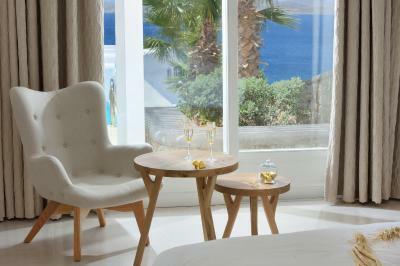 Blending Cycladic, traditional elements with modern decor, this suite has a private pool. It is fitted with beamed ceilings, earth-toned textiles and wooden furnishings and includes a flat-screen satellite TV, mini-bar, air conditioning and coffee machine. 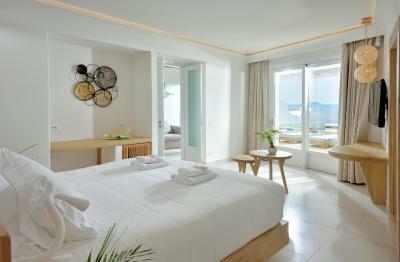 It offers sea view or side sea view. 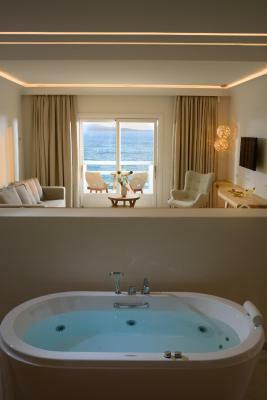 Offering full or side sea views, this stylish suite has a private pool. 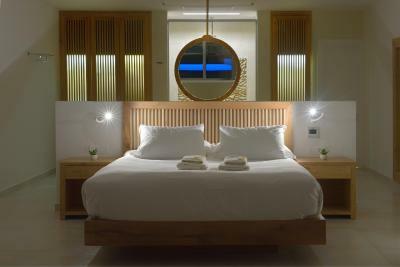 It includes 2 bedrooms, a modern bathroom with spa bath and shower, a flat-screen satellite TV, air conditioning and mini-bar. 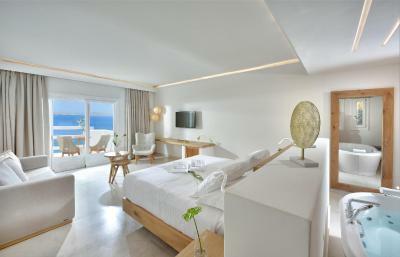 This suite features a balcony, as well as a sea view. 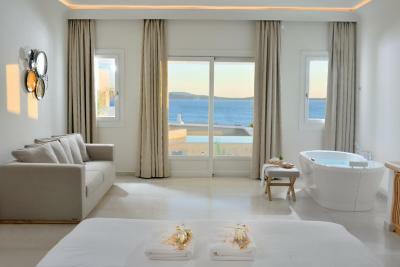 This suite features a balcony, bathrobe and a private pool. 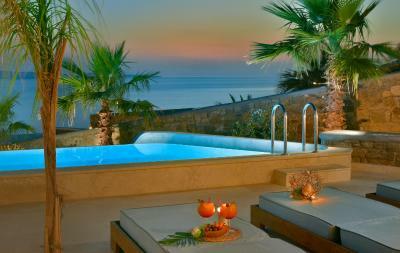 It offers a lateral sea-view. 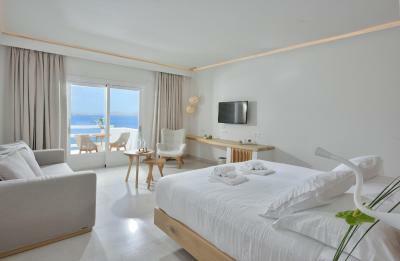 This suite has a sea view, air conditioning and seating area. 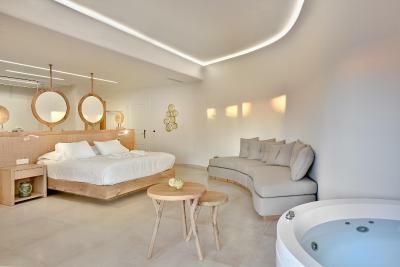 This suite features a spa bath, soundproofing and electric kettle. 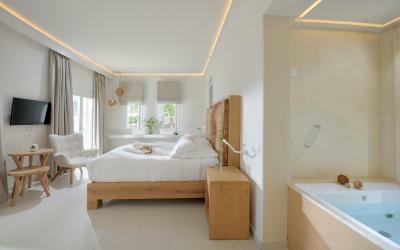 Wake up in one of our designer suites and maisonettes which combine unique Cycladic architecture, well known beyond the Greek borders, and designer pieces in all their shapes. 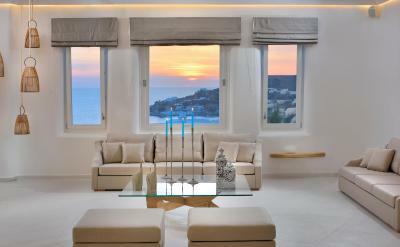 Pure white tones accompanied with earthly hues are married with modern architecture without losing connection to the Mediterranean origins. 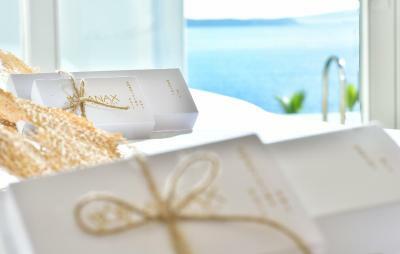 Anax resort combines impeccable service, five-star facilities and world-class cuisine with a real sense of island living. 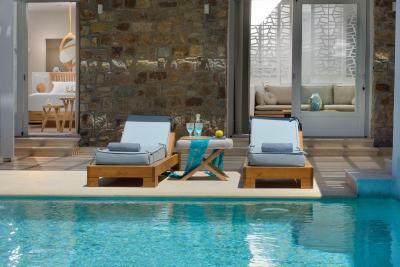 House Rules Anax Resort and Spa takes special requests – add in the next step! 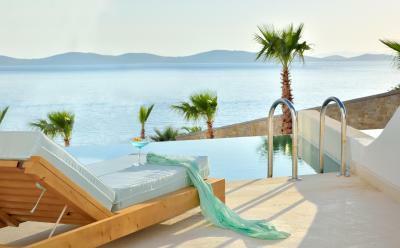 Anax Resort and Spa accepts these cards and reserves the right to temporarily hold an amount prior to arrival. Please note that the property offers free airport shuttle services. 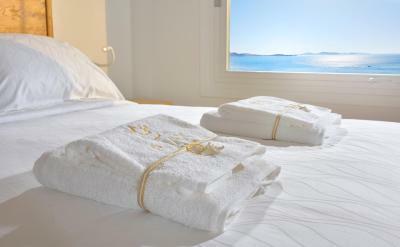 Guests who wish to use this service must notify the property at least 3 days in advance. 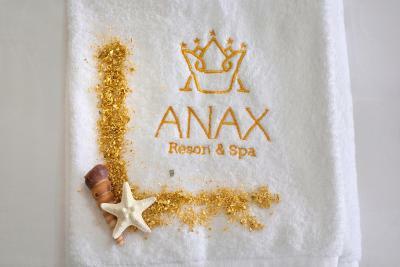 Please inform Anax Resort and Spa of your expected arrival time in advance. You can use the Special Requests box when booking, or contact the property directly using the contact details in your confirmation. Food was quite good but dinner area seemed a bit dead in the evening. Some of the food was good but some things we had could have been fresher. Would have liked more atmosphere at the resort in the evening. 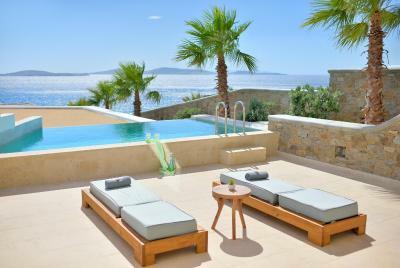 Stunning views onto the sea, beautiful pools and direct access to the beach. Rooms are large and I loved the huge bath in the room. Very relaxing resort overall. To take us to a room by a car although I want to go there by myself. Pools aren't heated, at least in September. Though the fact that almost noone went in allowed taking great photos. We couldn't find a restaurant that we liked around th hotel. This location was amazing! Away from the busy beaches! 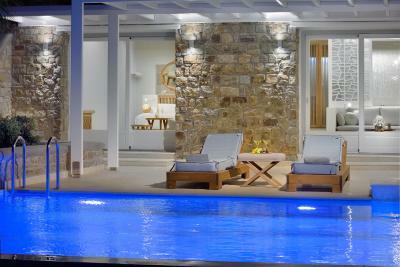 Perfect if you want relaxed quiet time in the most stunning environment! Amazing!! Everything . Pool area is absolutely fantastic . Owner was lovely & staff all very helpful. Amazing stay at amazing hotel. Will definitely return.